Nearly two decades later, SEVENTH ANGEL have reunited, with a respectable amount of the original blokes, even, and put together a third full-length. And as you might expect, things have changed a bit over all that time. 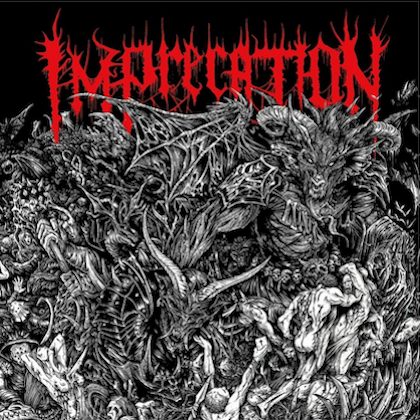 First and foremost, the band's barked thrash vocals have been replaced by rumbling, powerful, enunciated death metal growls, with surprisingly decent breaks of clean singing. 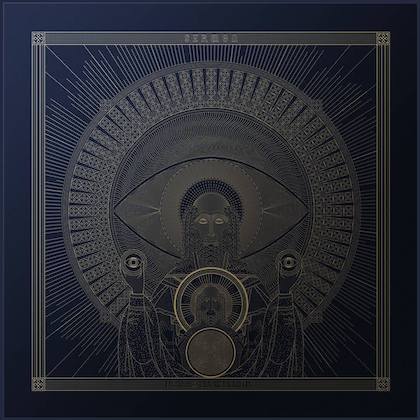 Their chunky, thrashy riffs have been replaced with big doomy chords, chiming rhythms that recall OPETH or KATATONIA, and dour, atmospheric melodies conveying an aura of gloom and maudlin despair. It's not textbook doom, but it is a bit stodgy and grim most of the time, akin to NOVEMBERS DOOM at their most opaque and flowery, with only occasional guitar melodies or transitional riffs to remind one of the band's past. That's not necessarily a bad thing, but one has to wonder, why even retain the name if you're going to make music that has almost nothing to do with your original sound? 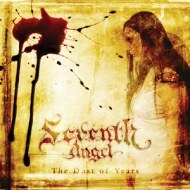 SEVENTH ANGEL are at home in this new style, so much so that the best tracks on "The Dust of Years" — the album-closing "In Ruins", "Lamentations" and "The Raven Sky" — give in most wholly to their new, depressive muse. These songs are long, dreary (in the best possible way) and moody, with just enough clever clean-vocal interplay and a few slight guitar hooks to anchor the listener in the morass of generalized ennui. "In Ruins" at least has a little pep to it, but the last two songs dispense with even that in favor of plodding tempos, ornate and pretentious arrangements, and funereal gloom. And they're the best, most distinctive tracks on the record, with the most emotion and creativity poured into them — the rest occasionally rises to brilliance but too often slogs it out in forgettable riffing and dull arrangements. "Abelard and Heloise" drags in female vocals (of course) for a rainy limp through a flute-laced miasma of doom/death cliche, while "Exordium" and "The Turning Tide" offer up decent bits (the latter, especially, providing some welcome energy). Still, though, it's not till the end that "The Dust of Years" really finds its footing, and who but the most dogged will make it that far for the reward? There's about half a good record on "The Dust of Years", maybe a little less — but it's hard to separate the quality stuff from the merely morose. Their progressive, heart-on-the-sleeve doom has a lot of potential, and the best material here is almost worth sifting for — but "The Dust of Years" comes off as a bit too much of a transitional album. Even with the colossal years and years between this and "Lament For the Weary", one almost can't help but wish they'd taken a little more time to get it right before debuting this radical change of direction to an unforgiving world. Frustrating!